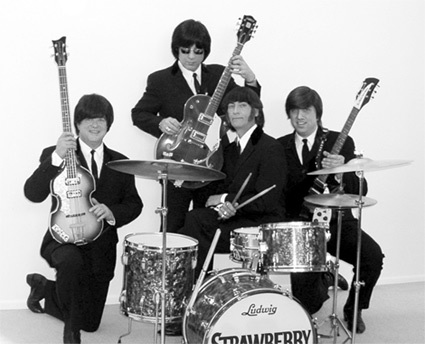 Relive those days with the #1 Beatles Tribute show, Strawberry Fields, (featuring Original former Beatlemania stars). The Only Band to ever re-create the Beatles 1965 SHEA Stadium-at Shea Stadium in 2005, live and on the field to an audience of over 40,000 fans!!! Currently performing on Broadway at BB Kings Blues Club every Saturday for the Beatlemania show.